Royal icing is the edible "glue" or mortar that holds a gingerbread house together. It can also be used to make fancy sugar decorations. Royal icing got its name from being used to cover fruitcake to keep it moist. Fruitcakes were, and still are, the traditional wedding cake of English royalty. If the gingerbread house and royal icing will be eaten after it has served its decorative purpose, we prefer to use pasteurized fresh egg whites (now available at grocery stores in cartons) instead of meringue powder because the result is smoother and it has better "stickability." The best and easiest way to use royal icing is to transfer it to a piping or pastry bag. The piping bag makes it much easier to get into corners when assembling the gingerbread house and allows for more exact placement of candy decorations and "icicles" and curlicues. This recipe makes enough royal icing for assembling and decorating one gingerbread house. In a large bowl, combine the confectioners' sugar (or more as needed), pasteurized egg whites, and cream of tartar. Scrape down sides. Turn the mixer to high and beat until thick and very white. The mixture will hold a peak. This should take at least 7 to 10 minutes. When finished, cover with plastic wrap, making sure it touches the royal icing so a crust doesn't form. Royal icing dries out quickly, so make sure it is covered all the time. Otherwise, there will be lumps in the icing and they will never pass through an icing tip. This recipe delivers perfect royal icing every time. If, after beating 7 to 10 minutes, the icing appears too soupy, add more confectioners' sugar and keep on whipping. Be careful not to add too much or the icing will be dry and hard to work with. You can tint it by using a small amount of paste food color (don't use liquid food color because it will dilute the icing and make it soupy). For 1/4 cup tinted icing, dip the tip of a toothpick into the desired color, then into the icing and whip. Repeat until the desired color is achieved. 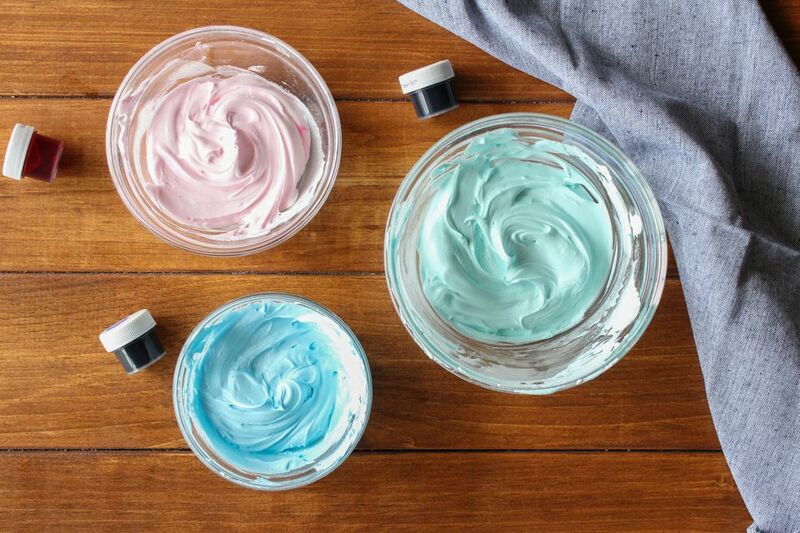 For strong colors, such as red, royal blue and dark purple, use 1/8 teaspoon color to 1/4 cup icing.